I love giving personalised gifts especially for family members. 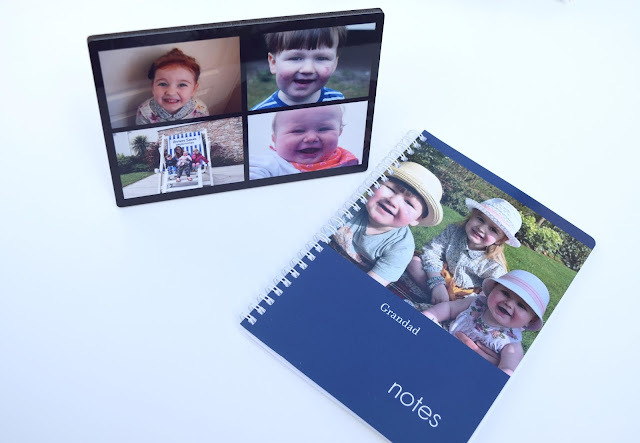 There are so many different products you can make these days using your own photos, creating extra special gifts for your loved ones. With Father's Day coming up on the 21st June I have been putting together some extra special gifts for both Andy and my Dad. I chose a few different items for Andy from the kids as they love giving him gifts and some will obviously be for use by all of us. The first thing I chose was a medium photo book (£9.99). 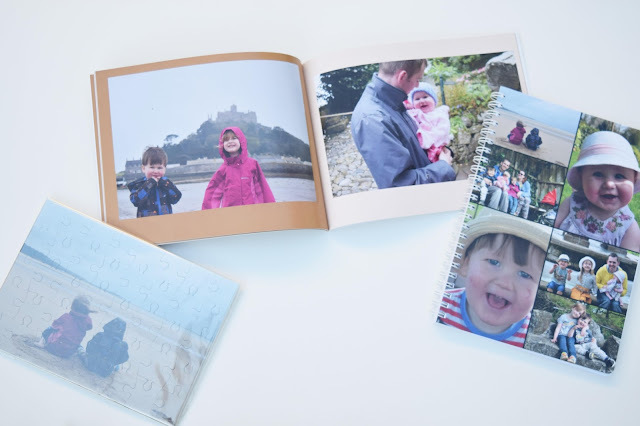 We have done a lot of exciting things so far this year and I have taken many lovely family pictures so I chose some of our favourites and popped them in the book as memories for him to cherish. 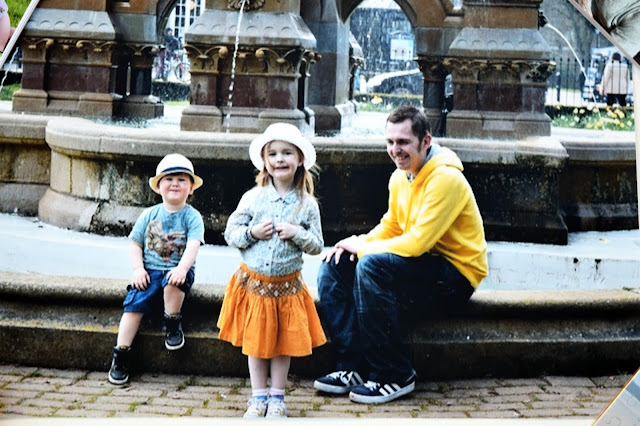 The kids love doing jigsaws and so I thought a special 7x5 photo jigsaw (£6.99) with a nice picture of Gracie and Zach on holiday would be a great activity for them to do together on Father's Day. 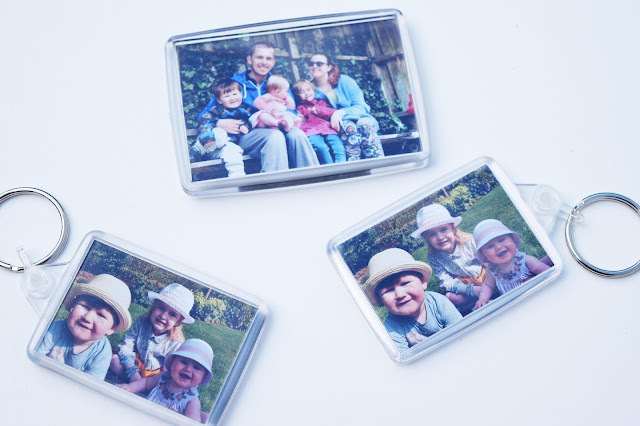 I don't know about you, but my kids have a huge collection of fridge magnets from all over the world on our fridge so of course a personalised acrylic fridge magnet (£2.99) with all of us on would be another gift they would be excited about giving him. No matter how many keyrings Andy has he manages to lose his keys everywhere but hey another one won't hurt will it ;) I used our favourite photo of the three kids to create a cute personalised keyring (£2.99) for him. Finally, we don't have many printed photos and there are a few photos of Andy and the kids that I love. I decided to have one of them printed as a 18 x 12 poster print (£5.99) to pop in a nice big frame for him! 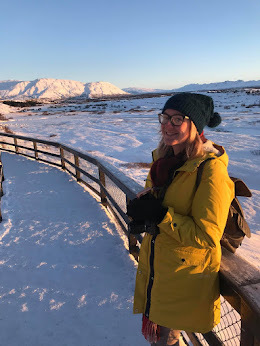 I did accidentally use a resized image rather than the original so the quality was slightly poorer than I hoped and I am kicking myself for that mistake. I still love the image though and I am sure Andy will love it too! My Dad is amazing. He is always there when I need him and the kids idolise him! I thought this year we would make him some extra special gifts for Father's Day. I know he has his own office at work and so I thought some personalised office suitable gifts would be perfect for him. I went for a 10x8 Wooden Collage photo panel (£17.99) with pictures of Me and the kids on for him to look at on his desk every day! As well as the gifts, I spotted these great personalised photo stickers and had a great idea. 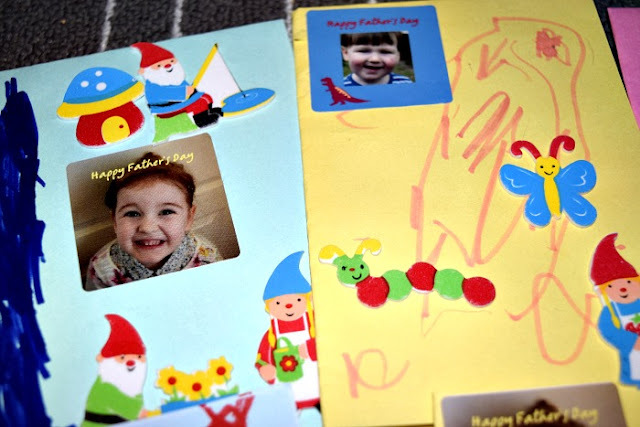 I always like to make home made cards with the kids for most occasions and they love it. 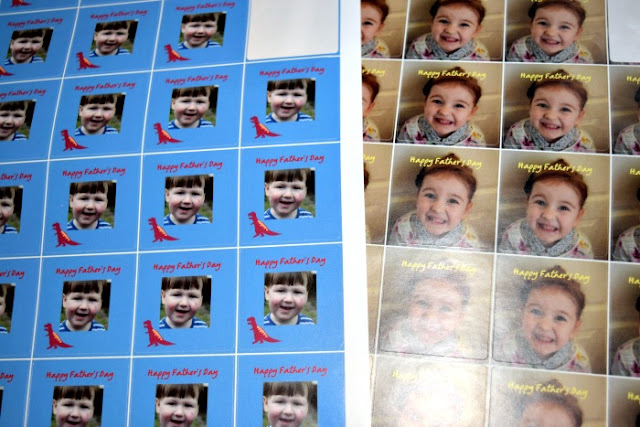 I thought these stickers, personalised with a photo of each of them and text saying 'Happy Father's Day' would be great additions to our personalised cards this year. As you can see they look great amongst the kids drawings and you can't get more personal than that! I was given £50 to spend at Truprint in return for this post. All opinions are my own.